The CO2 laser is the gold standard for laser skin resurfacing in order to treat the effects of facial skin aging. The fractional CO2 laser offers many of the benefits over the traditional full face CO2 laser. These benefits include less downtime and less discomfort. The laser is used to treat the effects of sun damage on the skin as well as facial skin aging. 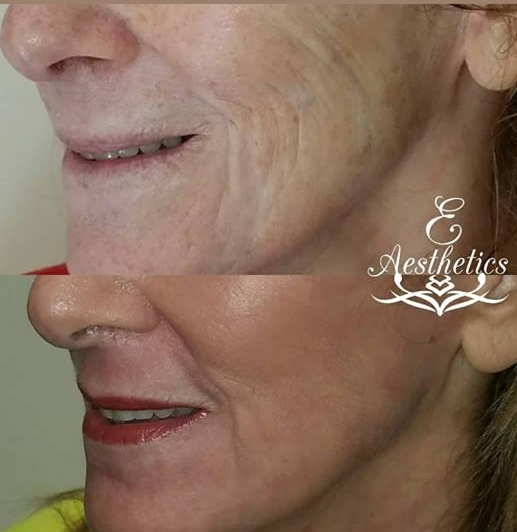 The laser can provide skin tightening, reduction of brown spots and skin discoloration, remove fine lines and wrinkles, and reduce the size of large pores. A numbing cream is applied to the face prior to the procedure and local anesthetic blocks are performed for the sensitive areas of the mouth and eyes. The laser settings will be determined based on your skin type and the desired result. The laser is then used to treat the skin of your face, neck, and/or chest. The procedure takes approximately one hour to complete. You can go home immediately after your treatment. Instructions on how to take care of your skin both before and after the procedure will be given to you. These instructions must be followed to maximize results. The typical recovery period for the CO2 Laser is 5 to 10 days depending on the intensity of the treatment.